I tried to get some posts done while I was on vacation but I had no time at all to do anything worth the time or effort so I decided to stop blogging for a bit and recharge myself on it. 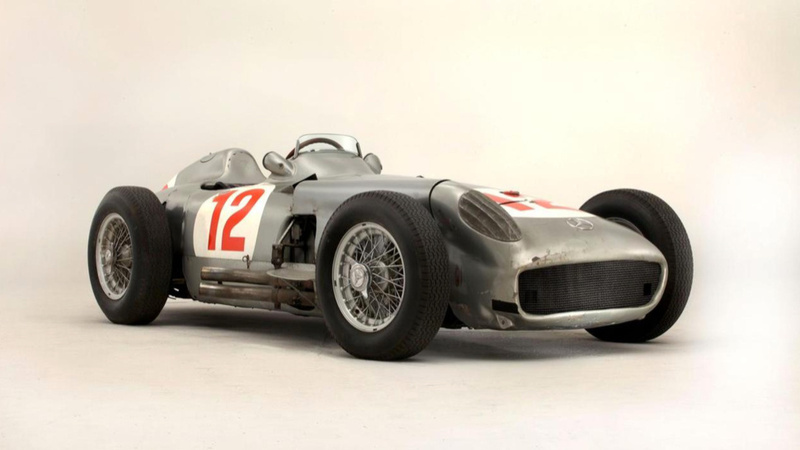 Fangio’s championship winning 1954 Mercedes Benz Silver Arrows W196 Formula 1 car recently went up for auction with the winning bid of close to thirty million dollars. Eclipsing the last public auction record by almost double. What I found most interesting about this car isn’t the fact Fangio won his fifth and final championship in it. But it’s the fact it was never repair to new. All of the race damage and patina is still on it. I hope the winning bidder doesn’t bother to restore it. I hope he or she keeps it as is and parks it in a nice friendly environment of other non restored but preserved used race cars.